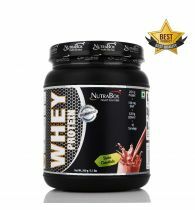 Description: Advance 100% Whey is an Isolate Source amino dense, Premium whey protein blend Designed and produced exclusively by ADVANCE NUTRATECH. It is essential as amino acids are needed to help support lean muscle, energy, vitality, and strength. 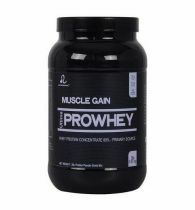 It has controlled release of protein and provides strengthfor muscles. It is also help to improve muscular growth and repair, as well as to support the immune system during periods of intense training. 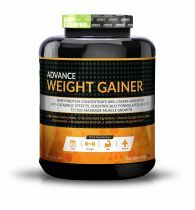 "Advance 100% Whey is an isolate whey source rich in essential and branched-chain amino acids that are a must in your fitness diet. By consuming whey protein before or after your workout, you can raise the amount of amino acids available in your body that is used for muscle growth. Other than being just a whey protein supplement it has very high nutritional value. It contains added enzymes for better protein absorption and better digestion. 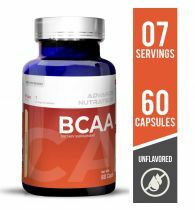 This supplement is available in vanilla and chocolate flavors and does not contain any added colors and harmful additives. This Pure Whey Isolate supplement offers you 25 Grams of Protein per serving, ensuring that your body is well fuelled for your next training. 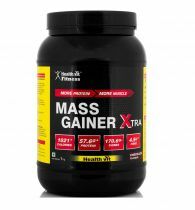 A 1kg container can suffice for up to 30 servings. All ingredients present in this supplement are Lab-tested for best results and purity and its formula is GMP and ISO approved. 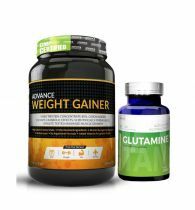 If you are trying to build strong and muscular body without subjecting yourself to the harmful steroid, advance 100% whey is just the product for you."